There are recorded documents linking the Leitz family winemaking history all the way back to 1744. Johannes Leitz was born much later, in 1964 in Rüdesheim. This Grandfather, Josef Leitz re-built the winery after a bombing raid on the area late during the Second World War. His father, Antonius Leitz had briefly taken ownership of the winery before his premature death in 1966. This left his wife, with her flower shop, a household and of course the family winery to run. So, it wasn’t until 1985 when Johannes took over the winery that it once again became a primary focal point of attention. After taking hold of the family business, he has managed to raise the estate from 2.9 hectares to the 40 hectares that we see today. 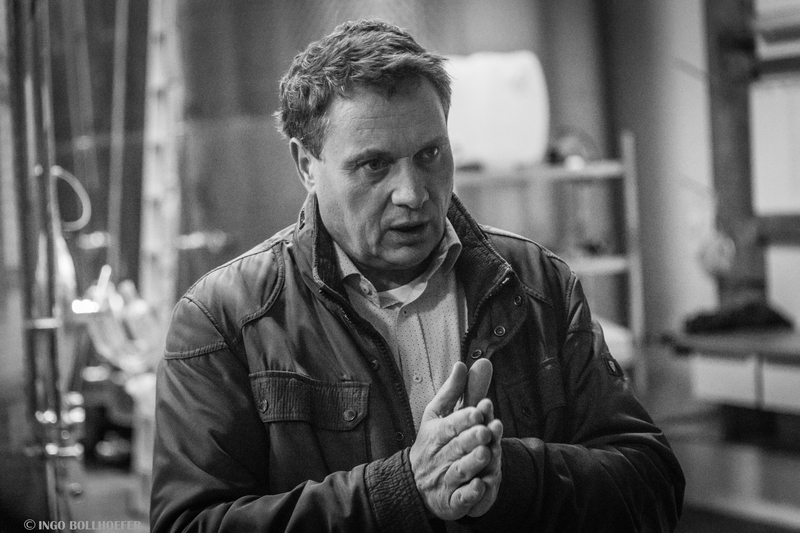 Over the years, Johannes has gained national and international recognition for his outstanding wines. Internationally, his major markets include Norway, Sweden, the UK and USA. The growth of the winery has had a positive influence over all the ranges of the wines produced. Specifically the Rüdesheim vineyards of Berg Schlossberg, Berg Rottland and Berg Kaisersteinfels have continued their tradition of being amongst the top dry wines from Germany. All of Johannes’ wines carry his individual signature and show off the varied greatness of the Rüdesheim terroir from which they are born. With all the growth Johannes has achieved he subsequently produced the new label of Dragonstone and EINS-ZWEI-DRY. These two successfull labels have recently been recognized and won the “IF Communication Design Award 2009”. These other international successes have been a boon: however, Johannes has stayed true to his roots and homeland. He has been working closely with the Ministry of Environment to restore the traditional terraces above Rüdesheim in the Berg Rottland and Berg Kaisersteinfels vineyards. Erinnerungen an die Weinlese 1904. Die zweite von rechts im Bild ist Johannes Leitz Großmutter. Toni Leitz – Der Vater von Johannes Leitz – auf seinem Pferd Robert. Slates are debris soils where the landscape is dominated by a grey color of the weathered grey-blue Hunsrueck slates. Dark-brown humus rich topsoil is often covered by slate debris and rubble which protects the soil from desiccation. The spaces between the loose materials are therefore well aerated. It is possible to feel loess as well as clay and mineral-rich fine earth derived from weathered slate. The vines are well supplied with minerals such as potassium, magnesium, sodium and iron from the clay fraction. Slate weathers rapidly thus ensuring a continuous supply of nutrients and mirco-nutrients. Summits of the Taunus mountain range consists of a hard rock called quartzite. The sandy sediments washed out of long gone mountain ranges were deposited near a coast during the Lover Denovian (about 400 million years ago). These deposits were soon compacted to form sandstone, which was subjected to high pressures when it became buried beneath thick layers of rocks. This resulted in a modification of the crystalline structure of the sandstone turning it into a hard quartzite and finally to Taunus mountains. The Taunus quartzite contains more than 90% quartz (SiO2) and very little impurities. Therefore, the rock has a very low carbonate and iron oxide content. The mineral nutrient content is low. The weathering processes of quartzite and slate results in solid white quartzite blocks. They are particularly wheather resistant and therefore accumulate the soil. Here , the soil contains a combination of red clay slate with mixed-in quartzite. The red slates are soft water sediments. Red coloring is a result of the iron content of these slates that have been oxidized to iron oxide under an arid climate, leaving a very rocky, hard soil. It has less minerals than the rich soils of grey slate but still much more than the quartzite soils. The remaining thin layer of soil is very stony and can only store a limited amount of water. In addition to this, the dense, clay subsoil is very difficult for roots to penetrate, creating demanding conditions for grapevines. The soil is quick to warm because of the low water content and high solar radiation levels along the slope. As a result, the vine experiences water stress early in the year and must somehow cope with the available water. The plants react by reducing the number and size of the grapes. Therefore, these sites produce low yields of very aromatic grapes. Ice age dust is found in most of yineyard soils. Storm winds moved these fine dust particles from ancient gravel beds deposited by wide rivers. The dust dropped out of the wine in shielded locations accumulating to thick loess beds. The fragile substrate makes it easy for roots to penetrate deep into the soil and reach water and nutrients. The most important property of the loess is its high available soil water capacity. The silty soil is easy to manage but is also readily washed away. The sandy loess is partially mixed with gravel sediments of the former terrace banks of the Rhine, with quartzite or slate or coarse coastal sediments from the Tertiary. The Rüdesheim mountain is one of the most astonishing vineyard sites in Germany and hence well known for it´s famous steep slopes. Throughout the centuries the BERG ROTTLAND, BERG SCHLOSSBERG, BERG KAISERSTEINFELS and the BERG ROSENECK have acquired international reputation and the wines from these unique sites are true ambassadors of our terroir. The summits of the Taunus mountains offer the perfect conditions for top-class viticulture and the diversity of the soils creates an outstanding mineral fingerprint in each wine. 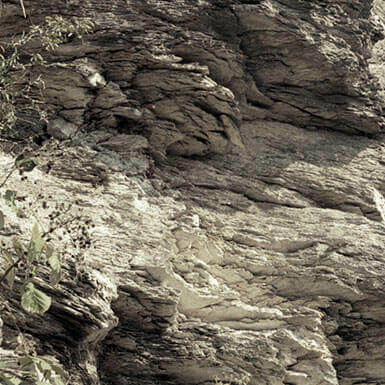 We´re proud to work in the World Heritage sites of the Upper Middle Rhine Valley, with it´s remains of old vineyard terraces and it´s impressive boulders. Rüdesheimer Magdalenenkreuz is located to the east of our town, close to the city of Geisenheim. Here you will find the gentle hills with profound loess and loam soils, good content of chalk that secure even in hot years a sufficient water supply. The vines are bearing enduring and fruitful wines. The fine sandy, silty loess has been weathered to fertile brownish loess-loam which is distributing rich contents of nutrients and water. The loosened substrate alleviates the vine to root deep into the ground, to make the nutrients and the water accessible. 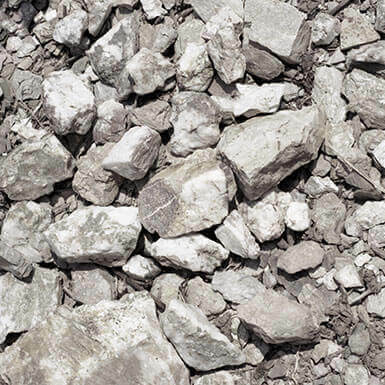 The soils contain beside the loess-loam a mixture of gritty terrace sediments, the rocks of the mountain range (quartz and slate) and the sediments of a tropical ocean from the Tertiary (sand and marly clay). It is pretty easy to work on these soils, but a big threat is erosion. Loess-quartzite or Terrace sediments. Ice age dust is found in most of the vineyard soils. Storm winds moved these fine dust particles from ancient gravel beds deposited by wide rivers. The fragile substrate makes it easy for roots to penetrate deep into the soil and reach water and nutrients. The most important property of the loess is its high available soil water capacity. The silty soil is easy to manage but is also readily washed away. The sandy loess is partially mixed with gravel sediments of the former terrace banks of the Rhine, with quartzite or slate or coarse coastal sediments from the Tertiary. The vineyard is located around the old Benedictine convent above Rüdesheim, which has been founded by St. Hildegard. The term lay stands for rock. The soils consist mainly of deep, calcareous loess soil. In some places you can find islands of medium-deep Taunus quartzite. The areas are located on the second level of the Mainz Basin, which was created by a natural folding of the mountains. Due to the proximity of the location one can speak of a very well-protected and well-balanced microclimate. Additionally the radiant heat of the location supports this in a very positive way. 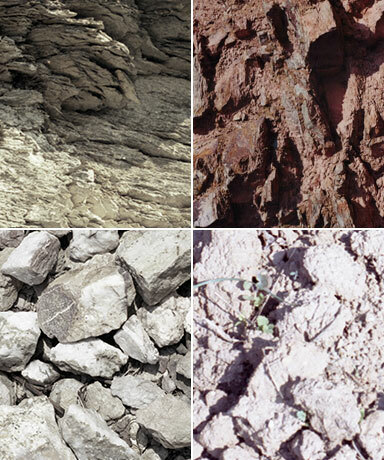 The loess-loam soil produces wines with a fruity and spicy acidity and of great elegance. The Bischofsberg is the westernmost Rheingau vineyard with sedimentary soils. The Rhine breaks a swath through the Rhenish highlands and leaves behind on its flanks in Rüdesheim the primeval rocks. The so-called Whisper Winds, these move in the morning on the Bischofsberg in east-west direction, condition that here the haze of the morning, not as in the rest of the Rheingau, stops. The vines have a not so high humidity and dry off faster. From the north they are protected from cold winds by the coppice. The deep soils have a good water retention capacity. The name comes from Archbishop Siegfried von Mainz who ordered the cultivation of this part of the Rüdesheim "Oberfeld" in 1074. For a small annual contribution in kind, which was well below the usual tithing of the income, the area was parceled out with landmarks and provided to the Rüdesheim "subjects". To honor and in memory of this medieval, fiscal investment promotion, the location still bears the name Bischofsberg today. It is classified as a VDP.ERSTE LAGE today. The Rüdesheimer Drachenstein vineyard is situated at the base of the national monument “Germania” close to the Niederwald-forest. Here, the soil contains a combination of quartz and quartzite with mixed-in red clay slate. The quartz is the main material covered with red slate, which are soft water sediments. Red colouring is a result of the iron content of this slate that has been oxidised to iron oxide under an arid climate, leaving a very rocky, hard soil. The soil warms easily because of the low water content and high solar radiation levels along the slope. As a result, the vine experiences water stress early in the year and must somehow cope with the available water. The plants react by reducing the number and size of the grapes. Therefore, these sites produce low yields of very aromatic grapes. The BERG ROSENECK is situated beneath the Niederwald Monument in Rüdesheim in the Rheingau. The name of the vineyard comes from “Rosenhecke” which means “rose hedge” and refers to the protruding granite cliff within the vineyard where wild rose, rose hip and sloe grow. The south-facing vineyard rises from 160 to 200 metres a.s.l. at a 50 % gradient. The Taunus Mountains shield the site from the wind. The section in the western part of the vineyard, where the soil is very rocky, is among the steepest parcels in Germany. The eastern part of the site is flatter and deep loess loam soil dominates. The BERG ROSENECK is a Riesling vineyard. Wine was first cultivated here around the year 1200. At that time the vines wandered up the mountain in numerous small terraces. The mule tracks were eventually replaced with bracing walls and paths around 1700. In the course of land consolidation between 1970 and 1985, the paths were paved and the terraced vineyard areas were thus rescued. Close to the old Castle of Rüdesheim, the fortress of the Broemser knights, built around 1044 A.D., the archaic ROSENGARTEN vineyard is located - the source of our 5th grand cru. It is renowned for being amongst the first historical evidences for the settlement of people and is known over centuries for its outstanding quality of fruit. The historic value of the vineyard is significant for the development of viticulture in our region and today we´re working solely in this secluded site which is composed of 3 parts; the “Kreuzgarten” (garden of the cross) north of the fortress, the “Bienengarten” (garden of the bees) and the main site the “Rosengarten” (garden of roses), which contains the oldest vines. The soils are mainly assembled of sandy loess loam and a slight content of quartz; they have a very good water distribution. The numerous walls that cross the BERG ROTTLAND store warmth. The site lies above Rüdesheim at the foot of the Niederwalddenkmal monument on the majestic Rüdesheim mountain at 100 to 150 metres a.s.l. Facing completely south, the 15 to 50 percent grade slope is fully exposed to the abundant sunlight of the broad Rhine Valley. The rocky, skeletal soil has a high share of red slate and occasional appearance of grey slate, quartzite, and pebbles and partial covering with a shallow layer of loess. The soil warms easily and gradually releases these temperatures to the vines. The good drainage and low water storage capacity of the rocky subsoil makes it prone to drying. The fog banks that form in the Rhine Valley promote noble rot. Even in average years, Spätlese and Auslese of high quality are harvested. Predominantly Riesling and Spätburgunder (Pinot Noir) grow here. The name stems from the Middle High German terms “reten” and “rotten”, which mean to clear or to deforest. Between the years 1031 and 1051 the Archbishop of Mainz bequeathed this area to the Rüdesheim vintners with permission to clear the fallow land. The impressive BERG SCHLOSSBERG resides in the bend of the Rhine River called the “Binger Loch”, which is west of Rüdesheim opposite Bingen and the Mouse Tower. The Rhine changes course here and travels north again after its east-west intermezzo in Rheingau. Steeper than anywhere else in Rheingau, the vine rows climb a 45 % gradient from 120 to 160 metres a.s.l. and are braced by mighty vineyard walls. Because the slope bulges toward the sun and the Rhine River reflection also makes its contribution, solar radiation in this south to southwest facing site is high. Taunus quartzite and phyllite slate dominate the soil of this steep 25-hectare vineyard, which is quite well drained and stores warmth well. The name stems from Burg Ehrenfels, now a castle ruin that can be seen from quite a distance. The impressive and sun pampered, south facing slope of the VDP.GROSSE LAGE® BERG KAISERSTEINFELS rises prominently above the bend in the Rhine at Rüdesheim. The Nahe empties into the Rhine directly opposite this partially terraced vineyard. At 5 to 35 percent gradient, the vineyards are steep to very steep. 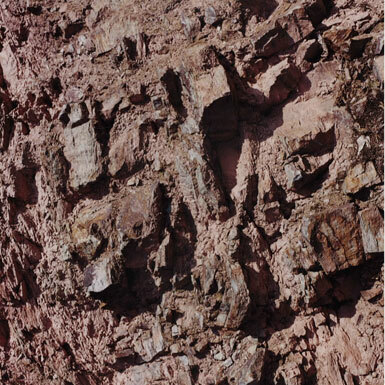 The soil of the 8.2 hectares is meagre and rocky; one finds quartzite slate rubble and in some areas there is a small share of red slate interstratification. 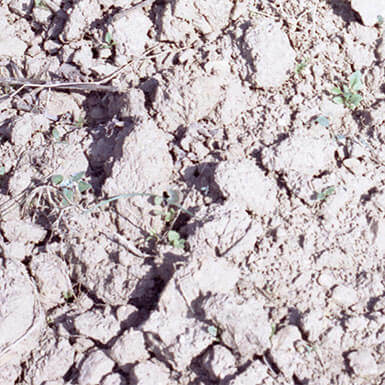 The well drained soil is prone to dryness. The BERG KAISERSTEINFELS lies at 280 metres a.s.l. Predominantly Riesling grows here. History: The name stems from the bare, rocky soil structure and from Emperor Charles the Great (Kaiser der Große) who had the grape variety Orléans planted here. The Vintage Festival is turning 40 this year! Take the chance to taste your way around the globe in 380 wines, and enjoy more artisan food and special features than ever to celebrate this landmark anniversary! Not to mention the opportunity to discuss your favourite wines with dozens of the geniuses behind them! Your hosts, as always, will be bestselling wine author Hugh Johnson OBE and Tony Laithwaite. The ticket price includes a free tasting glass, unlimited samples, plus exclusive festival offers including free delivery, great savings and free bottles. We will also have a detailed programme available online before the event, or you can order the brochure to be sent to you for the postage charge of £2.50 per copy. Please add the Brochure Postal Charge item below to order your copy. We have big plans to celebrate at the 2019 Festival so keep an eye out for the latest news and updates! Make this year even more special with an upgrade to the exclusive Fine Wine Room. For an additional £25, you'll have the chance to sample fine and exquisite wines from some of the world’s most legendary estates carefully selected by The Fine Wine Service team. Leitz´s BERG ROTTLAND has more ripe peachy fruit than any other wine from the Berg (mountain) sites of Rüdesheim in this vintage. That gives it a unique juiciness that makes it immediately appealing.Moderate acidity in this context. "Rüdesheimer Berg Roseneck Spätlese 2013" gewinnt "Silber"
2014 Bewertung im "Eichelmann 2015"
On the nose the EINS-ZWEI-DRY shows very pleasant fruit and rich yeasty notes. Nuances of peach and apricot; ripe apples and a hint of carambola. The delicate and lively acidity is supported by ripe mirabelle and is an outstanding example of the terroir. With a crisp finish, that leaves your taste buds wanting more, this wine is just asking to be drunk over and over again. The EINS-ZWEI-DRY has a really good extract, what makes this wine suitable for storage – that´s pretty remarkable for an entry-level. We think it´s a nice aperitif with oysters, it´s pretty delicious with Sashimi and even matches deliciously with smoked fish. The nose is full of cool minerality and very delicate nuances of fruits, such as apples, peaches and lychee. This is a fascinating interaction with the derivative flavours of fermentation. The mineral impact on the tongue is very obvious and distinguishable from the entry-level; it shows rudimentary what we want to show with the wines of our upper-class. But as an independent wine in our portfolio the Rüdesheim Riesling fills the mouth with nuances of stone fruit and the typical Riesling fruit. You will also find exotic impressions with ripe apples; Mirabelle, peach and also hints of wild herbs are easy to detect. We recommend pairing this wine with light roasted chicken breast in puff pastry, or zander with passion fruit foam with glazed curry-avocado-cubes. The nose is fresh and pure with exotic hints, chamomile and lemon zest. It promises a delicate body with a slight creaminess and shows on the palate an amazing mineral impact with a wonderful texture and a rather long finish. You will find a cool minerality beside the appealing fruit. The exotic fruits, such as lychee, mango, papaya and very subtle hints of passion fruit, create with the mellow impact of yeast an awesome impact on the nose. The MAGIC MOUNTAIN excites your mouth through its delicate minerality and nuances of ripe apples, mirabelle and peach. The subtle herbal characteristics that are so typical for the Rüdesheim mountains are also recognisable. We recommend pairing this wine with grilled Tuna with teriyaki vegetables, or zander with avocado-cubes and a passion fruit foam. In the nose you will find elegant ripe hints of white peach and blossoms with a very clean impression of lychee. It is very balanced and includes a crisp and refined mineral style. Due to it´s origin from the slightly increasing slopes of the Drachenstein, with their unique terroir, this Riesling has beside it´s pleasant and reluctant yeasty character, a delightful flavour. This Riesling from our Drachenstein vineyard shows pretty impressive hints of quartz minerality and has a strong but likewise smooth harmonic acidic backbone. As a food recommendation for this wine, we suggest mixed sushi, hotate no sashimi, grilled clams, or pot roast with cranberries. The BERG ROSENECK appears in the nose with a fabulous fruit explosion, an absolute animating yeast-texture and a subtle breeze of old german oak. This combination creates a very elegant scaffolding and amazes us with the first gasp. 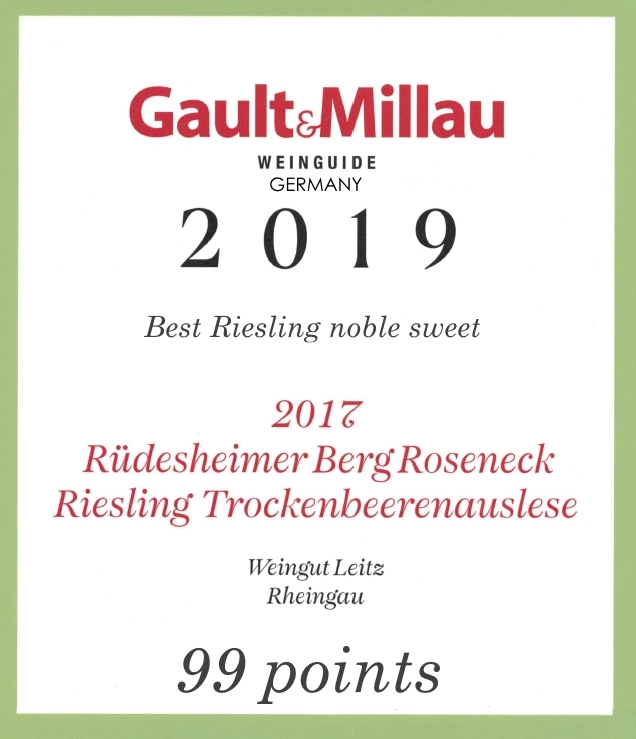 The vintage 2016 brought an intense and likewise broad Grand Cru from the vineyards of BERG ROSENECK, which surprises again with it´s typical and extremely delicious herbaceous hints and which seems to stay endlessly on the tongue. It offers a straight style and it´s pretty interes-ting how the site has evolved itself during the last years and how the delicate quartz-minerality prevails against the subtle nuances of blossoms and herbs. This BERG ROSENECK Grand Cru has a gentle demanding youth and will show it´s full charisma with an ongoing ageing in about ten to fifteen years. In the nose you will find a very fresh and cool, but also very delicate minerality of our mountain terraces which is accompanied by an animating scent of yellow fruit. There are subtle hints of mirabelle and finely wrought nuances of oak create an apollonian scaffolding. It is our highest located vineyard area and so to speak a real cool climate site. The BERG KAISERSTEINFELS coats your mouth with an impressive mineral impact, squired with ripe apples, mirabelle and white peach. You will also detect easily the haze of wild herbs, which is so typical for the adjacent Berg Roseneck. Despite it´s youth it is very simple to divine an exceptional development and we´re absolutely convinced that the elegant embedded acidity will give us a vast number of moments of happiness. On the nose you will find very elegant nuances of thyme besides the rich flintiness which is so typical for the BERG ROTTLAND site. It contains a very dainty smokiness and dries out the mouth in an absolute accomplished elegance and a filigree scent of oak is hovering over all. The youthful BERG ROTTLAND Grand Cru of this vintage presents itself in an excellent form and shows up with an astonishing yearning for the next swig. It is herewith proven that a noble site like the BERG ROTTLAND has even in it´s cradle a huge potential to emerge as a shining star and the lighter style of the cooler 2016 vintage promises great wines with an exceptional ageing-potential. We recommend to pair this wine with a light coconut curry, or grilled duck breast with an apple-mango-chutney. The ROSENGARTEN is our latest GG and completes our steep slope portfolio in an excellent manner. In the nose you will find an opulent yeastiness, sappy hints of brioche caused through the wild fermentation and a very cool mineral sensation of quartz. These impressions are accompanied by ripe passion fruit. On the palate you will detect a very nuanced interplay of tropical fruit and a scent of oak. The ROSENGARTEN displays an extremely restrained performance of wild fermentation flavours and it´s predicting a rosy future development. The mouth is coated through the intense complexity and somewhere you´ll rediscover the wild herbs of the adjacent BERG ROTTLAND. We recommend to pair this wine with different types of Sushi Rolls, such as Shrimp Tempura and Dragon Roll or a Sichuan-style Mapo Tofu. The 2016 BERG SCHLOSSBERG Grand Cru shows up with a tremendous saltiness, which seems to jump out of the glass with the first sniff. The minerality of BERG SCHLOSSBERG is vibrant and elegant in the same way. A dense and likewise consolidated zest and complexity leads to the manifestation of taste on your palate. The BERG SCHLOSSBERG performs absolutely pleasant with a delicate acidity, which is very dense woven in a framework of relish and minerality, of oak and origin - the mouth is totally coated and a moment of silence occurs until the unendingly finish awakens desire for the next sip. The yeasty zest is very intense on the palate and has herbal and slightly floral hints as antagonists. There´s a nuance of rock candy and very subtle trace of tobacco. The lively and fine acidity comes along with a pretty nice creaminess. We recommend to pair raw marinated prawns with lemon-oil and ginger-jelly or a medallion of turbot on glazed truffle with parsley puree. The Kirchenpfad Kabinett shows very elegant flavour of ripe apples and pears beside exotic hints of exotic fruits, such as lychee, papaya, mango and passion fruit. The grapes for this Kabinett were harvested in the first week of October 2016 and have been pressed very gently directly after arriving in our press house. The Rüdesheimer Kirchenpfad is a GROSSE LAGE, so we have, beside the possibility to create a GG, an excellent potential for an off-dry Kabinett. It´s yeasty zest is so typical for the 2016 portfolio and also very easy to detect - it provides with the opulent fruit a sensation of smell. On the palate this sensation of smell turns into a sensation of taste, with an interaction of ripe and sweet apples, a slight exotic impression and you will discover that the vintage shows up in that wonderful combination of ripeness and well embedded acidity. Due to the slightly extended fermentation you will detect the very elegant flavours of yeast easily beside the harmonious fruit. We recommend to pair this Kabinett with a rich Sushi-combination, sesame oil, ginger and sweet wasabi sauce, or with a light sweet mango chutney and Macadamia nut crusted Mahi Mahi. The site "Rüdesheimer Magdalenenkreuz" is located to the east of our town where you will find the gentle hills with profound loess and loam soils, good content of chalk that secure even in hot years a sufficient water supply. The vines are bearing enduring and fruitful wines. The Magdalenenkreuz Spätlese has a savoury nose with fruity hints of ripe apples and pear; as well as an exotic trace of grapefruit, orange and quince. The perception of taste creates in conjunction with the exceptional play of fruit and acidity a very unique exaltation and withal an intense finish. Beside these expressive scents of fruit, subtle mineral hints are joining this sappy Riesling-variation. The Spätlese shows how simple a Riesling is able to compete with substantial dishes and offers a wealth of possible combinations. We enjoy this wine with Curry, peach slices, with a condimental Biryani-chicken, or on its own with dark chocolate. A rich nose with elegant ripe hints of exotic fruits, such as passion fruit, mango, lychee and physalis welcomes you in the first moment. There´s a scent of herbs and lime that seems to fall in love with the wild yeast aromatic of this delicious masterpiece. On the palate you will find a very airy middle section which keeps this refreshing and modern styled Spätlese in balance with an enthralling and fascinating acidity. The mineral impact gives us the feeling of licking pebbles and this Spätlese seems to be more dry styled than it is. Due to it´s youth, the BERG ROSENECK Spätlese of this vintage is a the very beginning of it´s long journey. As a food recommendation for this wine, we suggest mixed sushi, hotate no sashimi, grilled clams with Asian vegetables, or strong cheese. It is our first trial with a dry rosé-style - the EINS-ZWEI-DRY ROSÉ has appealing notes of pale berries, such as raspberry and redcurrant; as well as rosehip, wild strawberry and also a hint of white chocolate is detectable. On the palate it seems very fresh and amazingly round. The equivalent to the entry-level Riesling demonstrates a brand new style and a very consistent bouquet of fruit. The gentle integrated acidity supports the fruit character masterly and achieves a wonderful refreshing performance in taste through the low content of residual sugar. We enjoy this wine as an aperitif, with an easy tomato-arugula pasta or served with a fresh summer salad. On the nose you will find a very fresh and cool, but also very delicate minerality of our mountain terraces which is accompanied by an animating scent of yellow fruit. There are subtle hints of mango, passion fruit and papaya which are truly sassy and luscious. The BERG KAISERSTEINFELS Kabinett coats your mouth with an impressive mineral impact, with ripe apples, mirabelle and white peach. You will also detect easily the haze of wild herbs, which is so typical for the adjacent Berg Roseneck. Despite its youth ypu can detect there will be an exceptional development and we´re absolutely convinced that the elegant embedded acidity will give us a vast number of moments of happiness. We recommend pairing this wine with different types of Sushi Rolls, such as Shrimp Tempura and Dragon Roll or a Sichuan-style Mapo Tofu. This wine has appealing notes of pale berries, such as raspberry and redcurrant; as well as rosehip, wild strawberry and also a hint of white chocolate is detectable. On the palate it seems very fresh and amazingly round. It is an equivalent to the entry-level Rieslings and demonstrates a new style and a very consistent bouquet of fruit. The gentle integrated acidity supports the fruit character masterly and achieves a wonderful refreshing performance in taste through the enjoyable content of residual sugar. We enjoy this wine as an aperitif, with an easy tomato-arugula pasta or served with a fresh summer salad. This Pinot Noir is produced in cooperation with the redwine-winery Friedrich Becker from Schweigen/Palatinate. The grapes were fermented at the Leitz winery and the wine is placed in wooden barrels; blended and bottled unfiltered at the Becker winery. The Pinot Noir of Johannes Leitz and Friedrich Becker has a scent of red cherries and strawberries with a touch of mint combined with a pleasant and reluctant impact of oak. You will find also black truffle, tea and noble spicery. On the palate there is fresh ripe acidity with smooth tannins. The Rothenberg fits very well with venison with cranberries, turkey with parsley root, Steak frites. The Leitz EINS-ZWEI-ZERO offers an original character that is clean and fresh with notes of lime and citrus; surprisingly rhubarb and a little hint of red apples on an underlying mineral foundation. The finish is dry and relatively long. Of course, an alcohol-free wine never will give the same depth, structure and weight as a wine with alcohol, but here it is close to it and it is simply an alcohol-free wine tasting wine. Impressive. We recommend to pair EINS-ZWEI-ZERO with gratinated crostini, cauliflower and goat’s cheese & butter, as well as with an Asian chicken casserole. Opening hours: Mon – Fri 8:00 a.m. – 12:00 p.m. & 1:00 p.m. – 5:00 p.m.